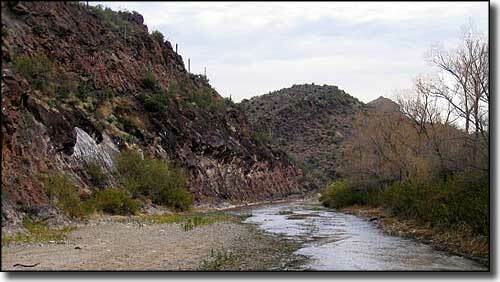 The Hassayampa River flows across the southern and eastern portions of the 12,300-acre Hassayampa River Canyon Wilderness. The high point on the property is Sam Powell Peak (4,015'), in the western section. Also in the western portion of the wilderness is "The Needle," a unique geological monolith. The side canyons and higher areas are covered with paloverde, saguaro and chaparral while the lower areas are straight out desert scrub. 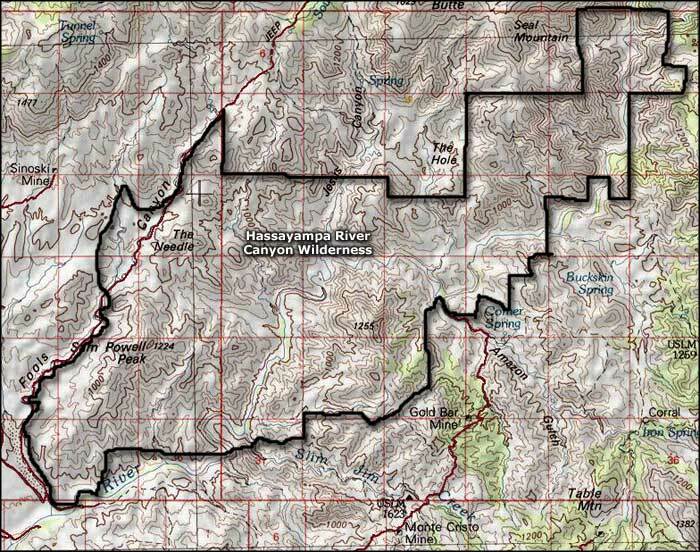 The Hassayampa River Canyon Wilderness doesn't see many people because the access is limited by having to cross private land to get here. I've come across reports that say the area is a bit overrun with grazing cattle, and it's hard to not be stepping in cow pies... The easiest hiking is along the river bed and if the stream is flowing, you're going to get your feet wet while crossing it several times. There are also quite a few cow paths along the upper banks, some of which lead into side canyons along the way. From Wickenburg go northeast on the Constellation Road toward the Williams Ranch (about 16 miles from where you first got on the Constellation Road). That's where you need to ask for permission to cross the land until you reach the Hassayampa River Canyon Wilderness boundary (about a quarter mile from the parking area). 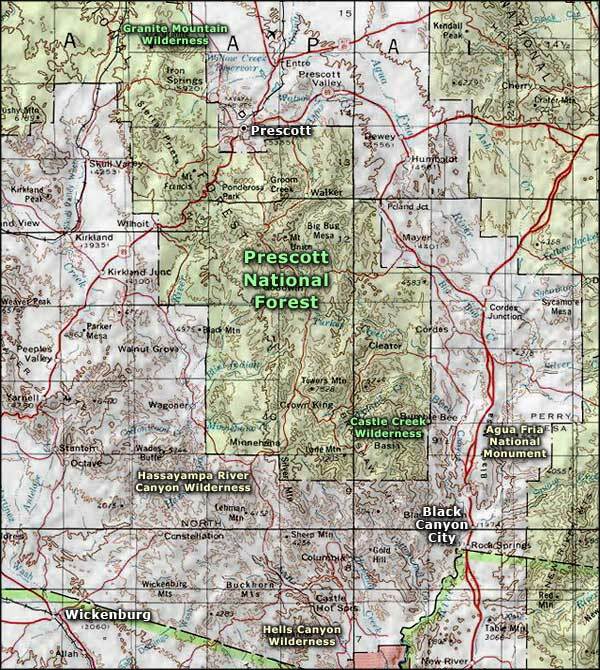 USGS Maps: Yarnell, Wagoner, Sam Powell Peak, Morgan Butte.